Interpol agent Louis Salinger (Clive Owen) is determined to expose an arms dealing ring responsible for facilitating acts of terrorism around the globe. But as his investigation leads Salinger and his partner, Manhattan Assistant District Attorney Eleanor Whitman (Naomi Watts), deeper into the secret world of greed, corruption and murder, they become targets of a deadly conspiracy so vast, they soon find the only people left to trust are each other. This pulse-pounding thriller plays a high-stakes game of suspense, intrigue and explosive action. $10.702 million on 2364 screens. Although he didn’t get to play James Bond, Clive Owen seems determined to stake his claim as an action/thriller star. He takes another role in that domain with 2009’s The International. Interpol agent Louis Salinger (Owen) works on an investigation of the Luxembourg International Bank of Business and Credit, an establishment that appears to be a money laundering operation for organized crime. Because the IBBC boasts a major presence in the Big Apple, he works in conjunction with the New York DA office. When his colleague Thomas Schumer (Ian Burfield) dies of an apparent heart attack, Salinger suspects foul play. Along with Manhattan DA’s assistant Eleanor Whitman (Naomi Watts), Salinger digs deeper into the IBBC and their operations. They suspect that the IBBC is involved in arms deals, and their path takes them closer and closer to danger while they gallivant around the globe. All films feature some amount of exposition. Sequels can get away with less, but even they’re not immune, as they still need to set up story issues and give us appropriate details. While inevitable, exposition doesn’t have to dominate or become awkward. Unfortunately, that doesn’t hold true for The International. Saddled with a dense plot, the film sticks us with reams of exposition. At times, the flick feels like a little bit of story sandwiched inside pages of exposition. That sense decreases as the movie progresses, but it never quite goes away, and even when it fades somewhat, the film remains stagnant. In particular, the scenes with the IBBC baddies fall flat. Not only do these get stuck with much of the exposition, but also they feel somewhat unnecessary. I’m not sure they ever provide any truly useful information, and they detract from the mystery/thriller side of things. That’s because they leave our lead characters. I don’t think Salinger needs to be onscreen constantly, but I feel that the film would work better if it stayed with his point of view. When it departs and concentrates on the IBBC boys, the flick grows bureaucratic and dull. Not that the rest of it sizzles. All the characters – Salinger included – feel generic and we never get a sense of personality from them. Poor Watts ends up with the shortest straw. She serves a few minor plot purposes but has little to do throughout the movie. She gets a minor role without much reason to exist other than to bring a female presence to an otherwise thoroughly male cast. I like Owen as an actor, but he may be at risk of the typecasting to which I alluded. No, he doesn’t focus on Bond-like roles – Salinger bears virtually no resemblance to that super-spy – but Owen does tend to like this kind of gritty agent. He seems to play the roles the same each time and doesn’t bring much to the affair. Salinger is totally anonymous. Which goes for much of The International. 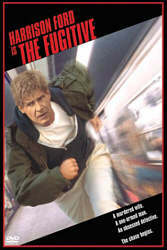 Actually, it took on a resemblance to The Fugitive, as both featured physically impaired killers and complicated schemes related to massive businesses. Unfortunately, The International lacks one-tenth of the excitement found in The Fugitive, and it more often comes across as a tepid Seventies style political thriller. Albeit one without much to thrill us. As I watched The International, I kept waiting for something interesting to happen – and a reason to care about the events. Even with a few potentially lively action pieces, those exciting moments never arrived. The film plodded through its excessively dense story and failed to take flight. 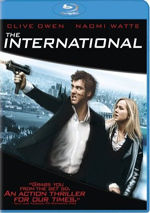 The International appears in an aspect ratio of approximately 2.40:1 on this Blu-ray Disc. I’m still pretty new to Blu-ray, so I don’t want to lavish excessive praise on this transfer. However, I can say that I think this is the best live-action presentation I’ve yet seen on Blu-ray. Sharpness looked absolutely immaculate. At no point did even the slightest hint of softness materialize. Even potentially murky interiors looked tight and concise. Jagged edges and shimmering didn’t cause distractions, and edge enhancement seemed to be absent. Source flaws also failed to pop up in this clean transfer. To fit the hard-edged thriller atmosphere, The International went with a chilly palette. I wouldn’t call the film stylized, as it didn’t go with any obvious tints. Instead, it provided a desaturated look that diminished the impact of any particular colors. Nonetheless, the hues were perfectly fine within the visual choices; the tones didn’t stand out, but they weren’t supposed to do so. Blacks came across as dark and dense, while shadows were smooth and clear. From start to finish, the film boasted simply stellar visuals. While not as impressive, the Dolby Digital TrueHD 5.1 soundtrack of The International proved to be more than acceptable. For the most part, the soundfield emphasized atmospheric elements. A few scenes added more pizzazz; the shoot-out at the Guggenheim easily became the most engrossing of the bunch. However, the mix usually kept things more subdued. It fleshed out the environment in a satisfying manner and created a good sense of place. Music boasted fine stereo delineation, and the surrounds threw out just enough information to make them reasonable partners. The soundfield didn’t bring a lot of action to the fore, but it formed a good impression. Audio quality satisfied. Despite the presence of many looped lines, speech sounded crisp and concise; the lines lacked edginess and seemed well-reproduced. Music showed nice range, as the score was consistently full and rich. Effects also conveyed good accuracy and punch; they didn’t get too many chances to impress, but they showed fine clarity. Low-end response seemed tight and warm throughout the film. Though not dazzling, the soundtrack worked well. Quite a few extras round out the collection. First we find an audio commentary from director Tom Tykwer and writer Eric Singer. Both sit together for this running, screen-specific chat. They discuss sets and locations, cinematic influences, cast and performances, story/script issues, the piece’s origins and development, and action and stunts. While not the most fascinating commentary, this one nonetheless includes a lot of good information. Story elements dominate, and that becomes both a strength and a weakness. It’s good to learn more about that side of things, but the topic gets beaten to death and starts to feel tedious toward the end of the movie. Still, you’ll learn a lot from this track. Blu-ray producers love their interactive features, and The International boasts one of these. Entitled The International Experience, a little pop-up window in the lower right corner shows a mix of on-the-set footage and interviews. We hear from Singer, Tykwer, producers Charles Roven, Lloyd Phillips and Richard Suckle, production designer Uli Hanisch, editor Mathilde Bonnefoy, and actors Clive Owen, Naomi Watts, Brian F. O’Byrne and Armin Mueller-Stahl. 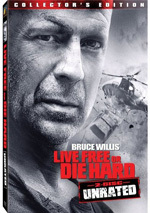 The comments discuss issues such as the movie’s inspirations and development, story and characters, cast and performances, sets, locations and production design, action and stunts, and a few other filmmaking areas. Though the “Experience” clips offer some interesting notes, they don’t ever prove to be terribly fascinating. They also crop up somewhat infrequently. You won’t have to wait extended periods to get them, but they don’t come often enough to keep up occupied over the film’s length. This is a decent feature but not a terribly good one. One Extended Scene lasts 11 minutes, 23 seconds. In “Salinger and Whitman”, the clip shows a little more of their personal interactions, and we also meet Salinger’s daughter. As character background, it proves moderately useful, but it slows down the film’s pace too much. Four featurettes follow. Making The International goes for 30 minutes, seven seconds as it provides notes from Tykwer, Rover, Phillips, Suckle, Hanisch, Bonnefoy, Owen, Watts, O’Byrne, Mueller-Stahl, Singer, costume designer Ngila Dickson, art director Sarah Horton, artist Julian Rosefeldt, and actor Ulrich Thomsen. We learn a bit about the film’s origins, cast, characters and performances, sets and locations, costumes and production design. If you already watched “Experience”, you’ll have already seen some of these snippets. “Making” packages them in a tighter fashion, though, and gives us a pretty good encapsulation of the production. While it does repeat information from elsewhere, it manages to include a good number of new facts and becomes interesting. Next comes the six-minute, 32-second Shooting at the Guggenheim. It features notes from Horton, Tykwer, and Hanisch. The program looks at the creation of the movie’s Guggenheim set. Other pieces touch on this topic, but “Shooting” gives us a little more detail and it proves to be satisfying. The Architecture of The International fills six minutes, 32 seconds with remarks from Roven, Tykwer, Hanisch, and Owen. “Architecture” looks at the various locations found in the film as well as the production design and visual choices. As with “Guggenheim”, “Architecture” touches on topics also covered elsewhere, but it adds new thoughts and turns into a useful little piece. Lastly, The Autostadt runs five minutes, four seconds. It includes statements from Tykwer, Phillips, Roven, Hanisch, Owen and Autostadt creative director Maria Schneider. This one follows in the footsteps of the past two featurettes and looks at the Autostadt location. Expect a few more good details here. An ad for Blu-ray opens the disc. It also appears in the Previews area along with clips for Waltz with Bashir, Underworld: Rise of the Lycans, Passengers, Casino Royale, Damages, The Da Vinci Code, What Doesn’t Kill You, Sky Crawlers, Blood: The Last Vampire, Vantage Point, Paul Blart: Mall Cop, and The Informers. No trailer for The International shows up here. Finally, a second disc provides a Digital Copy of the film. This allows you to easily transfer the flick to your computer or portable viewing device. It doesn’t do anything for me, but your mileage may vary, as they say. If you like movies with streamlined stories and tight action, stay away from The International. The film bogs itself down with excessive exposition and never delivers enough excitement to emerge from its self-imposed hole. The Blu-ray delivers stunning visuals along with very good audio and a mix of generally interesting extras. This is a nice release, but the movie lacks much drive and doesn’t really engage the viewer.